Go with us on a puzzle journey! Visit a farm, dive into the ocean or explore the prehistoric age and discover which animals and objects are hidden in the pictures. This cute puzzle is the perfect game for kids to improve their shape recognition abilities. Different, child-oriented settings also help learn new words and have fun in imaginary worlds. 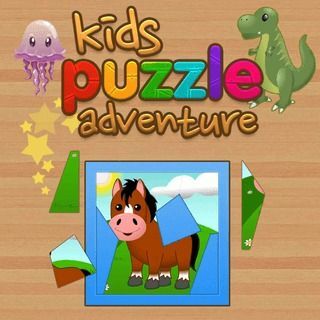 Kids Puzzle Adventure - Find Kids Puzzle Adventure in our vast HTML5 games catalogue. Only the best and newest HTML5 games for all audiences. Guaranteed success with Famobi.